Whats happening in your brain? Brain cells communicate with other brain cells through neurotransmitters. When a brain cell (neuron) is stimulated, it will release stored neurotransmitters into a synaptic gap, the space between brain cells. The neurotransmitter will diffuse across this tiny synaptic gap, and act on an adjacent brain cell receptor. The neurotransmitter will either stimulate or inhibit this neighbor brain cell. Then, after a period of time, the neurotransmitter is released from the brain cell receptor. It resides in the synaptic cleft where enzymes cleave the neurotransmitter, and the parts are recycled back into the original brain cell. The original brain cell resynthesizes the neurotransmitter, and stores them. This process is ongoing in the brain, and it contributes to all of the brains functions. In addition, neurotransmitters are found throughout the body. They facilitate the body’s autonomic (automatic), peripheral, and motor nervous system function. Neurotransmitters are essential for proper function of both the brain and body activities. Neurotransmitters can affect mood, sleep, concentration, and weight. If these neurotransmitters are depleted, then it can cause problems such as depression, bipolar disorders, and anxiety. Neurotransmitters can be depleted by a poor diet (excessive processed sugars, saturated fats, fried foods, excessive red meats, excessive preservatives), stress, lack of exercise, excessive alcohol and caffeine intake, recreational & prescription medications. Due to these conditions, about 86% of american’s have suboptimal neurotransmitter levels. These neurotransmitters include serotonin, acetylcholine, norepinephrine, epinephrine, dopamine, and GABA (gamma-Aminobutyric acid). Serotonin & GABA are inhibitory neurotransmitters. Norepinephrine, epinephrine, glutamate, and acetylcholine are excitatory neurotransmitters. Dopamine is both an inhibitory and excitatory neurotransmitter. Serotonin is needed to prevent over activation of the brain. It brings a balance to a person’s moods. It helps to prevent carbohydrate (sugar) cravings, and helps maintain healthy dietary function. It helps to balance the sleep/wake cycles. Balanced serotonin levels help with pain control. GABA also helps to calm the brain. It is the brain’s natural “tranquilizer.” Many drugs, such as valium, stimulate this neurotransmitter to achieve a calming affect. Low GABA levels can increase brain activity, leading to excessive thoughts and anxieties. GABA also helps with motor control and vision. Norepinephrine is responsible for stimulating processes in the brain and body. Elevated levels can cause anxieties. 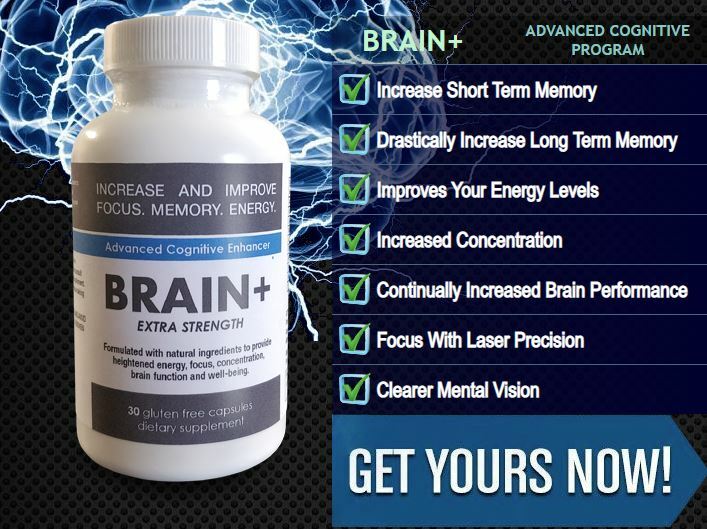 Low levels can cause low energy levels, decreased concentration and memory, as well as insomnia. Elevated epinephrine levels is associated with Attention deficit/hyperactivity disorder symptoms. Both norepinephrine and epinephrine are also called, “nor-adrenaline,” and “adrenaline,” respectively. They are responsible for the “Fight or Flight,” response when the brain senses frightening or dangerous situations. Individuals with Post-Traumatic Stress Disorder and Anxieties have elevated norepinephrine and epinephrine levels. Glutamate is an excitatory neurotransmitter. It contributes to learning and memory. It is primarily found inside nerve cells. Once a nerve cell is activated, glutamate is release from the cell, and stimulates adjacent nerve cells via AMPA & NMDA receptors. An overproduction of Glutamate levels can be toxic to the brain. Abnormal glutamate levels are also associated with Alzheimer’s disease. Acetylcholine is the primary neurotransmitter in the brain, peripheral, and skeletal nervous system. In the brain, it is involved in wakefulness, attentiveness, anger, aggression, thirst, and sexuality. A deficiency in acetylcholine is seen in degenerative conditions, such as Alzheimer’s disease. It is responsible for counteracting the “Fight or Flight,” response, and it is responsible for all voluntary skeletal motor function. Disorders involving a deficiency in the skeletal motor system can cause a neurological condition called, “Myasthenia Gravis.” It is also responsible for gastrointestinal, sweat, breathing, heart & circulation, and kidney function. This neurotransmitter is ubiquitous, and essential for the bodies essential function. As previously mentioned, dopamine is both an excitatory & inhibitory neurotransmitter. When it is an excitatory neurotransmitter, it is involved with motivation, decision-making, reward processing, attention, working memory and learning. Excessive dopamine levels can lead to psychiatry conditions such Schizophrenia. Medical drugs used to treat Schizophrenia and psychosis block dopamine. As an inhibitory neurotransmitter, Dopamine is involved in motor coordination. Low levels of dopamine can lead to neurological conditions such as Parkinson’s Disease. Recreational drugs stimulate dopamine and the reward center. Excessive dopamine stimulation causes a euphoria. This contributes to addictions. Finally, endorphins are neurotransmitter associated with natural pain control, and with rewarding experiences. There are 20 different type of endorphins, and most reside in the brain, pituitary gland, and the peripheral nervous system. Endorphins are activated during stressful and painful situations. Low endorphin levels on the other hand can contribute to chronic pain. Chronic opiate pain medication use can deplete these levels, causing a chronic pain condition, and lead to dependency/addiction on these medications. Neurotransmitters are essential for brain and body function. Through a balance healthy diet, regular moderate physical exercise, stress reduction, avoidance of excess caffeine, alcohol, tobacco, these neurotransmitters can achieve optimal balance, and overall better health.